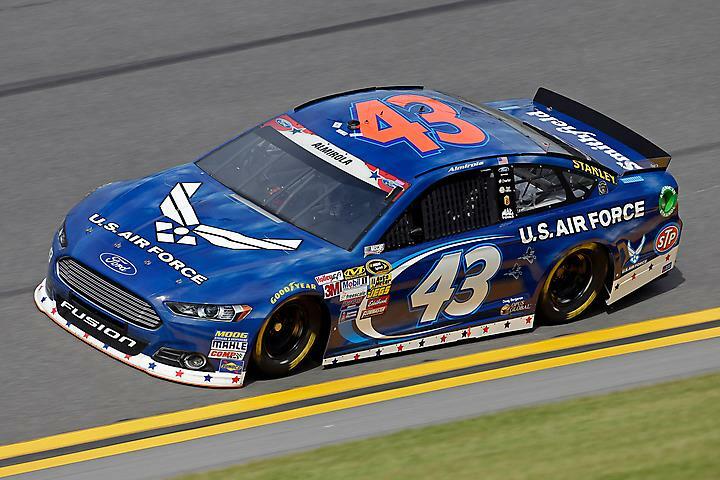 NASCAR Daytona Results 2014 put Richard Petty Motorsports back in victory lane at Daytona International Speedway. 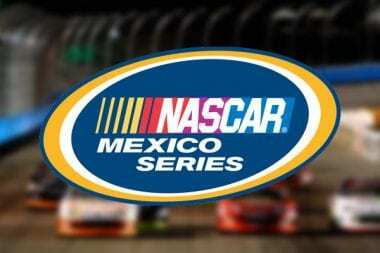 Aric Almirola tops the field as rain fell. The race was called early as cars sat covered on pit lane. 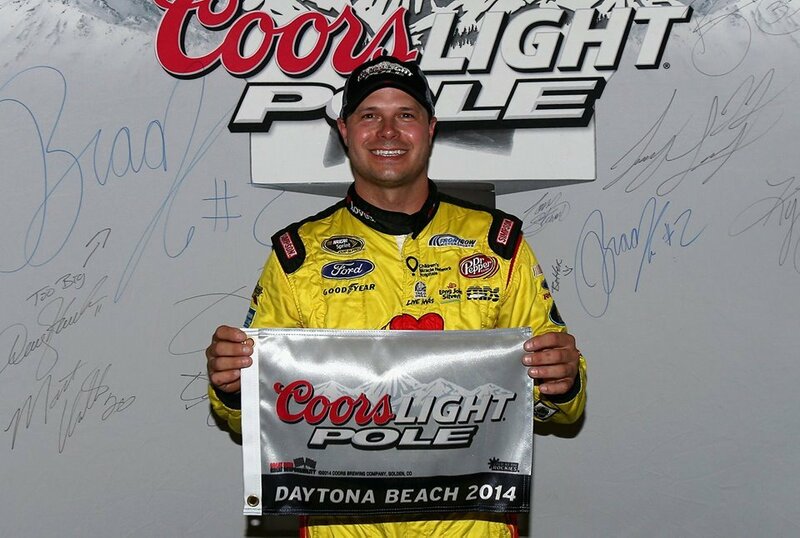 NASCAR Daytona Results 2014 sheet posted below. 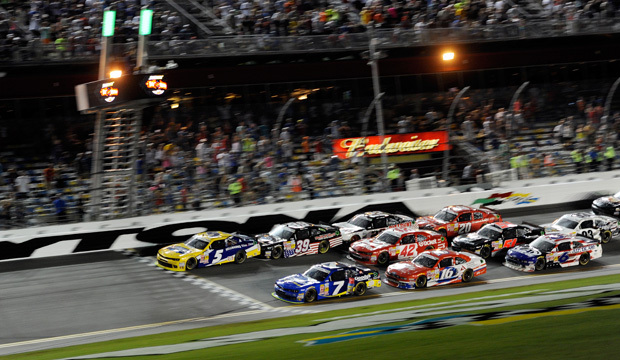 Daytona NASCAR Nationwide Results 2014 led by Kasey Kahne in last lap charge. 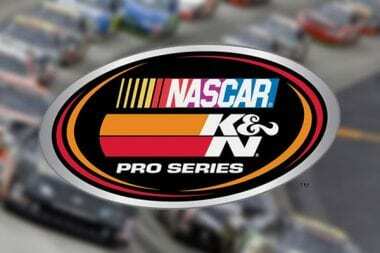 Kasey Kahne led only one lap but he choose a good one. It was a thrilling finish, watch the video below. 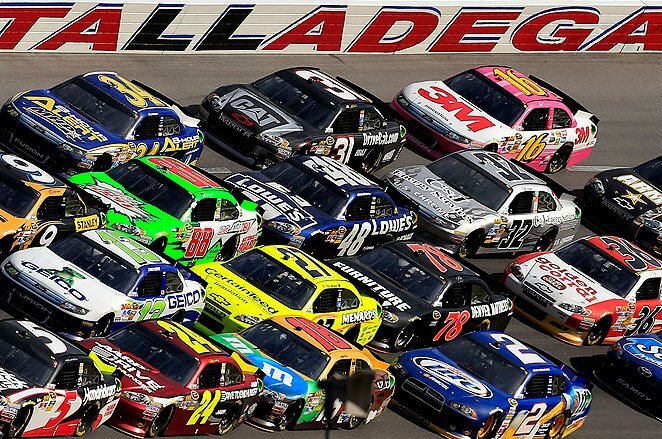 It was a miracle there wasn’t a pileup of NASCAR machines on the last lap. A quick and sudden Daytona rain storm on the backstretch collects multiple cars during first round NASCAR Nationwide Series qualifying. 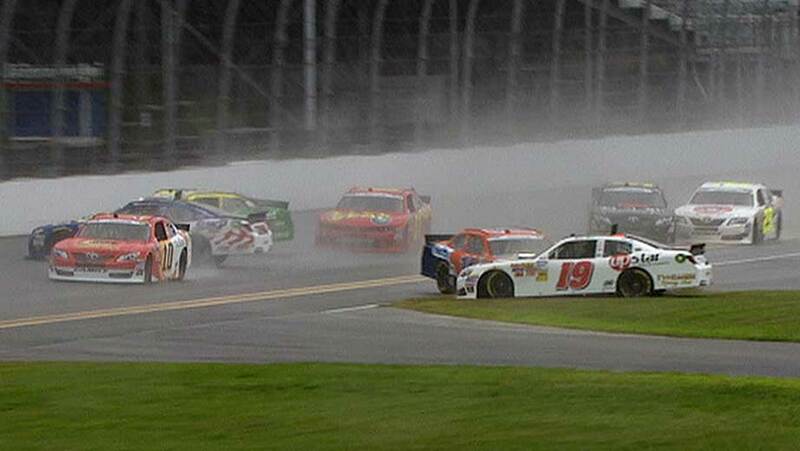 Watch the sudden NASCAR rain pileup video below. The rain didn’t touch the frontstretch. However, as drivers were getting up to speed on the back chaos unfolded. See the full Daytona Practice Times 2014 sheet below. Jamie McMurray leads the Daytona Practice Times 2014 following today’s session. Practice had an extra bit of importance today as qualifying tomorrow has a chance of getting rained out. 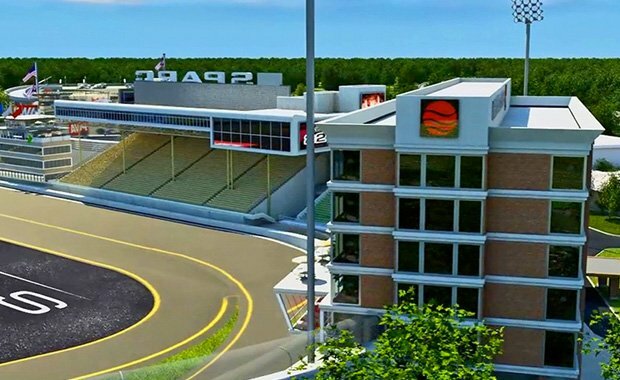 If that’s the case both pole and pit selection will default to practice times. 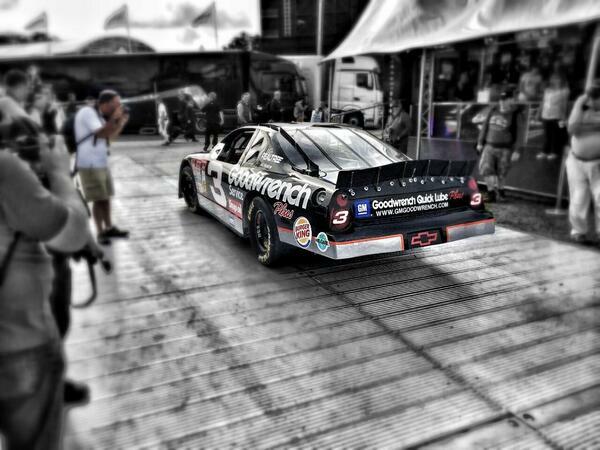 See more photos of Kerry Earnhardt driving the Dale Earnhardt Sr number 3 car at the Goodwood Festival of Speed. 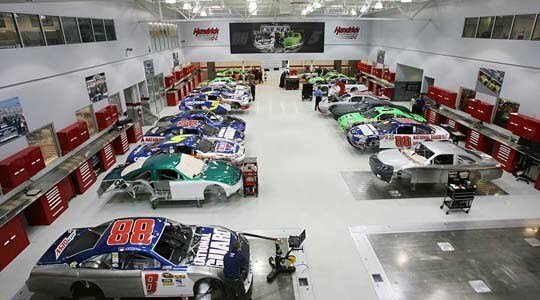 The Dale Earnhardt Jr race car graveyeard as of 2012 had about 40 cars in the collection. 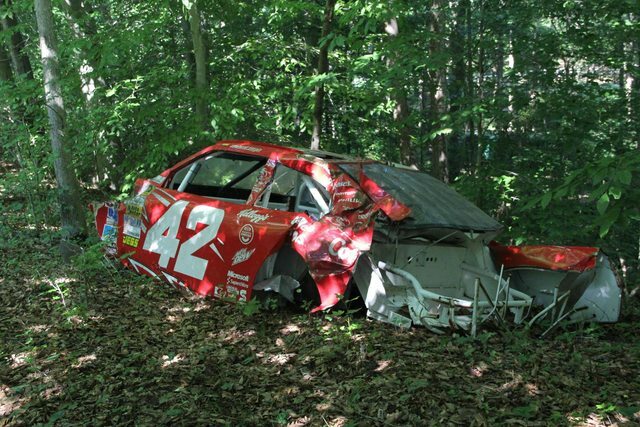 View the video and photos of the Dale Earnhardt Jr race car graveyard below. Following the race at Sonoma Dale Earnhardt Jr said he would cut up the car and stick it in the woods. 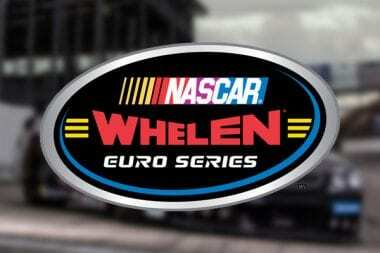 See the full NASCAR Nationwide Series Road America results posted below. 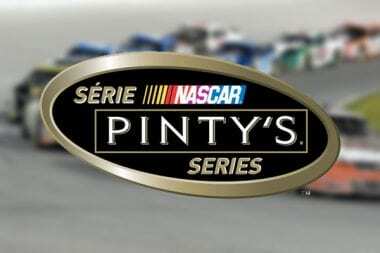 It was a thrilling event that offered a rare view of NASCAR rain racing. 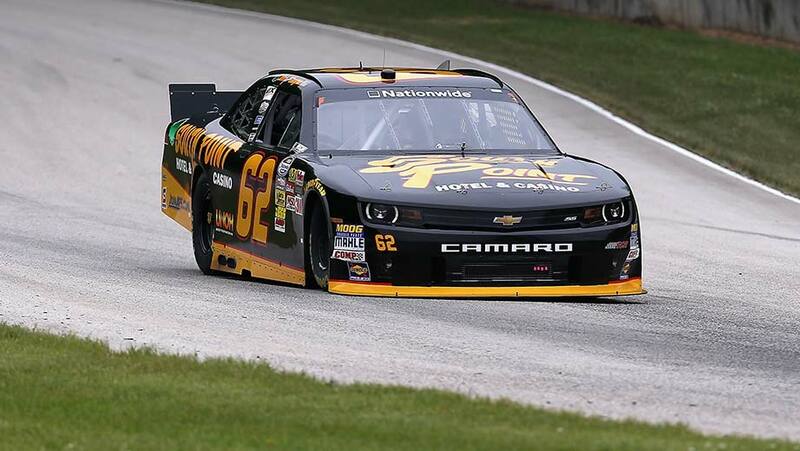 Brendan Gaughan picks up his first win. A hard fought win at that. 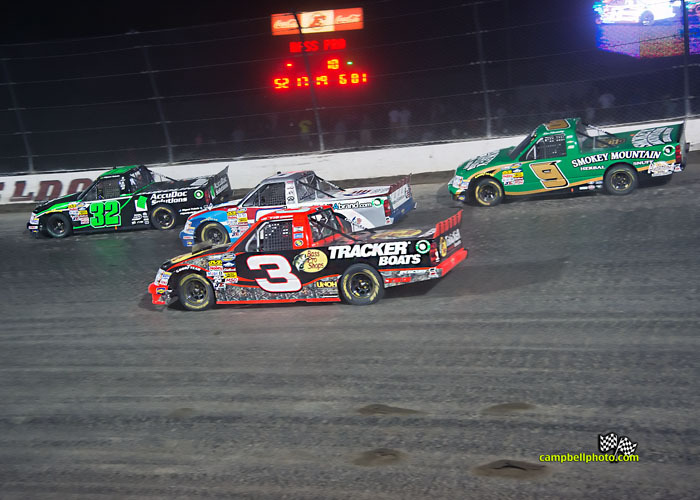 NASCAR announced a series of NASCAR Dirt Race format enhancements to the second annual race at Eldora Speedway, scheduled for July 23. 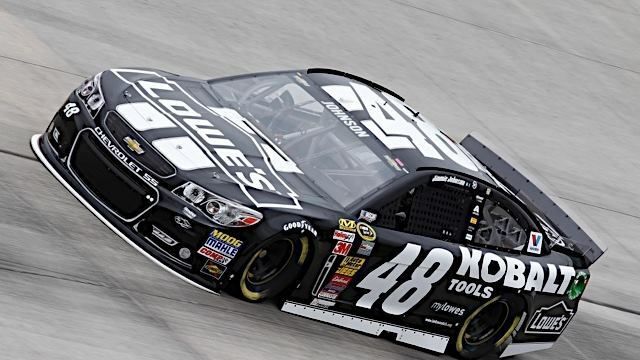 Jimmie Johnson tops the 2014 Dover NASCAR results sheet. 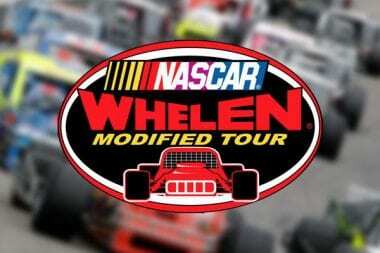 He also became the all time lap leader at Dover International Speedway. 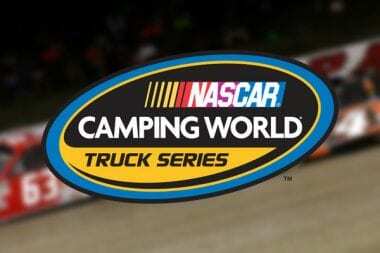 Kyle Busch won both the NACSAR Truck Series and Nationwide events at Dover. 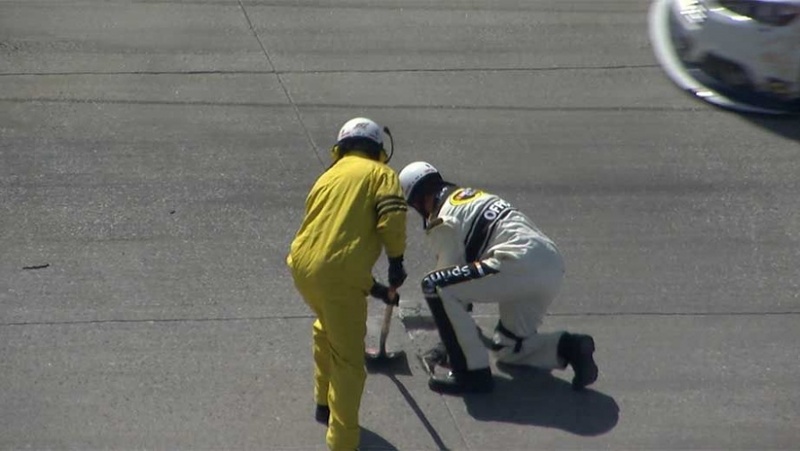 He jumped out to the lead and looked to be on his way to the sweep. 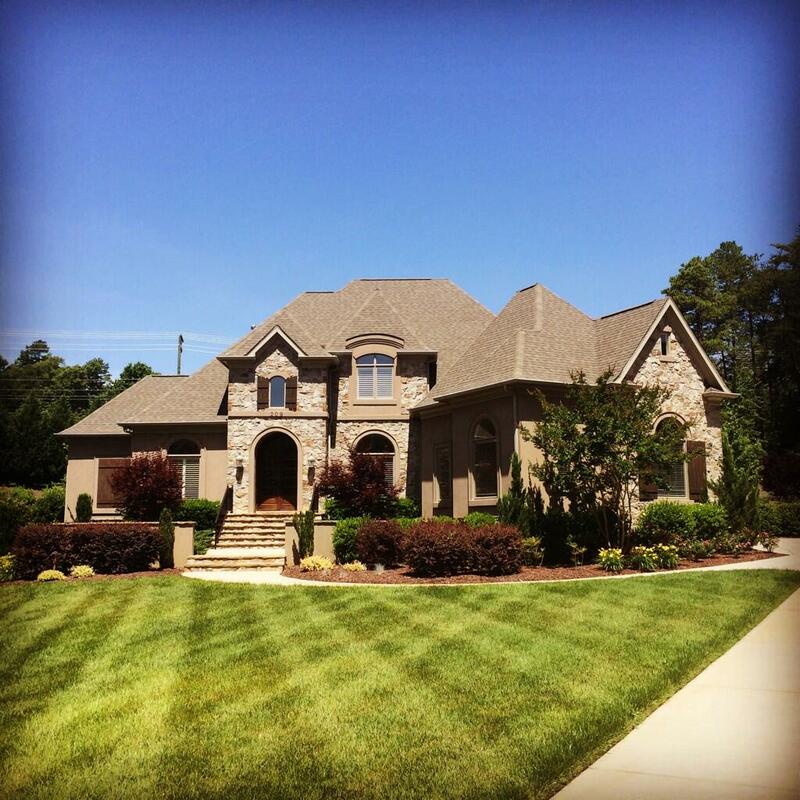 The 2014 Coca Cola 600 Results are one the wire. 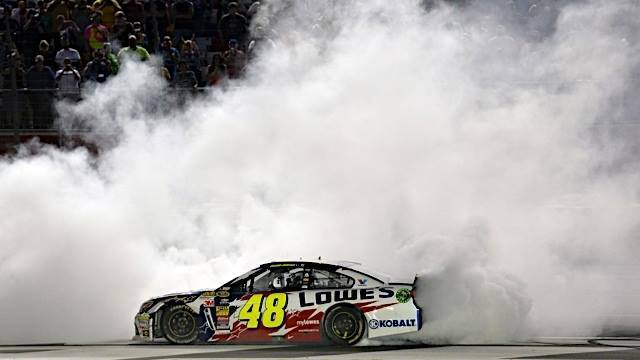 Jimmie Johnson in the past has dominated the track. 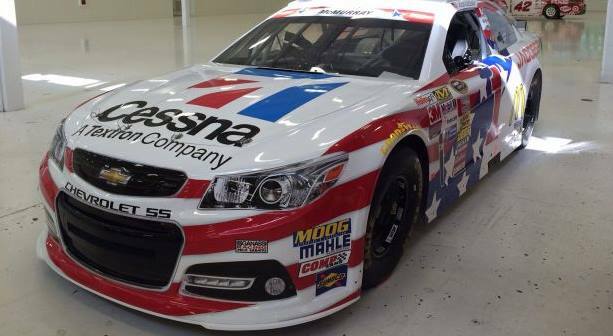 However, he hasn’t won at Charlotte Motor Speedway in almost 10 years. 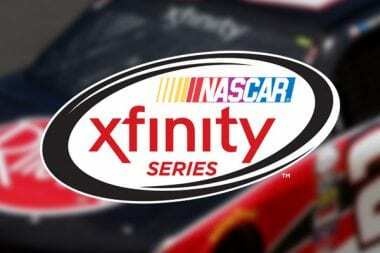 Johnson took the lead from Matt Kenseth in the closing laps of the 600 mile race. 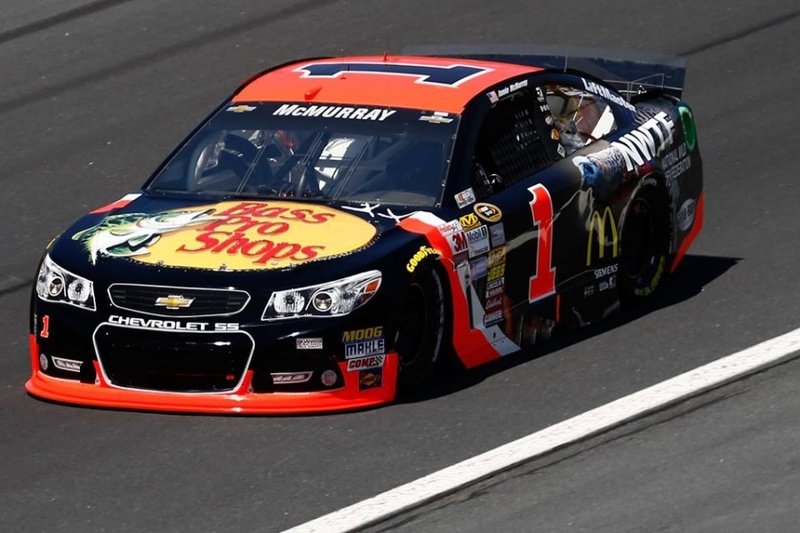 Jamie McMurray tops the NASCAR All Star Race Results after a battle with Kevin Harvick. 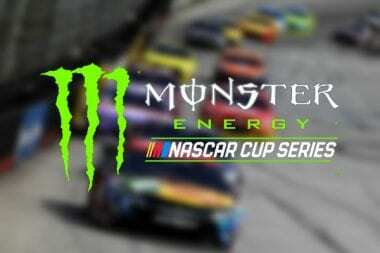 McMurray took home the Million dollar payout after the race at Charlotte Motor Speedway. Kasey Kahne looked to have the car to beat early in the race.